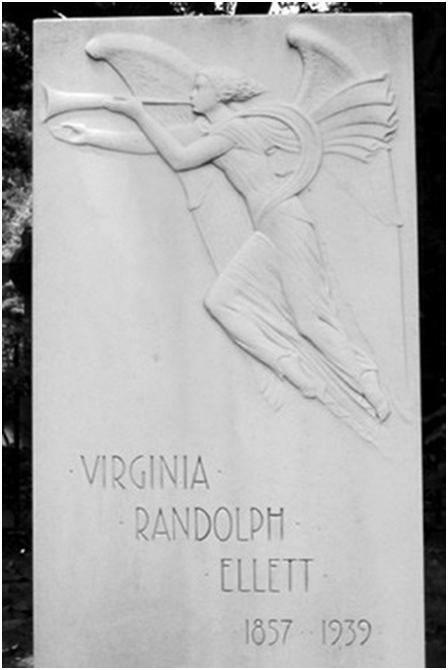 Virginia's oldest school for girls was developed in 1890 by leading educator Virginia Randolph Ellett, and was first known as the Virginia Randolph Ellett School for Girls. Ellett, the school’s first headmistress, stayed on to teach English after she left her original post in 1917. She is credited with having a larger influence on the education of women than anyone in Virginia. The school moved to its current location in 1917 and was architecturally complete in 1953. It was incorporated into the system of church schools in the Episcopalian Diocese of Virginia in 1920, so Ellett renamed it Saint Catherine’s in honor of the patron saint of philosophers, scholars, and young women. The campus was laid out by Hobart Upjohn in 1921, though its earliest buildings were designed by architect Duncan Lee in a Tudor Revival style. These have now been demolished, and the remaining campus is an exceptional collection of Georgian Revival buildings. Landscape architect Charles Gillette collaborated with Upjohn to design the green space in 1937. Saint Catherine’s School continues to fulfill its educational mission today, while maintaining a clear sense of its history through its architecture and landscaping. Source of information: Notes on Virginia 2007, Virginia Department of Historic Resources, 2801 Kensington Avenue, Richmond, Virginia 23221; www.dhr.virginia.gov.